THE HAGUE, 07/05/13 - The Dutch government is shocked by the murder of Helmin Wiels, leader of the biggest government party in Curaçao. “Much remains unclear, but nothing can justify such a cowardly deed,” said Premier Mark Rutte on Monday. 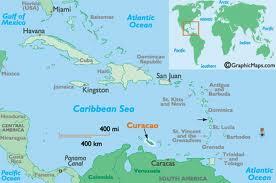 The 54 year old Wiels was shot dead in the Caribbean island of Curaçao, part of the Dutch kingdom, on Sunday evening. Two men are said to have fired five shots at him when he was drinking a beer on the strand. They fled in a car. Wiels fought for the total independence of Curaçao from the Netherlands. His party, Pueblo Soberano, won the parliamentary elections in October and formed a coalition government. The politician was threatened and was under protection, said the Curacao Minister for Justice Nelson Navarro Sunday evening. Wiels had decided himself to go out on the street on Sunday evening without guards, according to Navarro. In a telephone interview with Curaçao Premier Daniel Hodge, Rutte conveyed the sympathy of the Dutch people. He wished for fortitude for the two children of Wiels, who live in the Netherlands, and for the population of Curaçao. Premier Hodge of Curacao said at a press conference that the Netherlands has offered to help with the police investigation. He also said that few details are yet known of the murder or the attacker or attackers and that ‘all means’ will be brought to bear to solve the case.